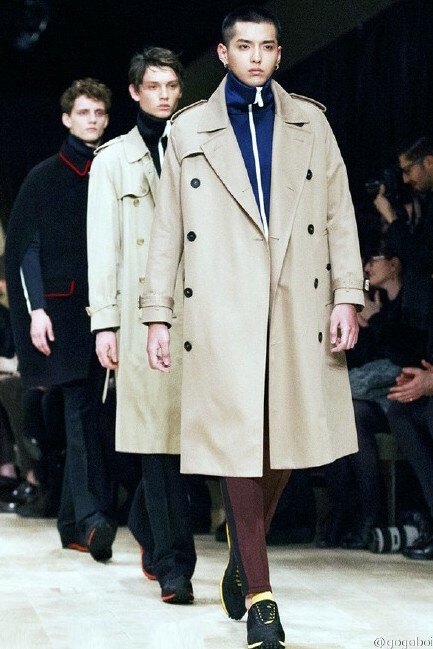 As a string of men’s fashion weeks concludes this week, here’s a round-up of some of the looks. We have Kris Wu Yifan in London, Chen Kun, Wang Kai, Sheng Yilun, Chen Xuedong in Milan, Yang Yang, Jing Boran in Paris. In particular of note is Kris Wu Yifan, who is the first male actor of Chinese descent to walk the runaways for a high-end fashion show (Burberry). In addition to appearances at shows, most of them also took some time for street style photoshoots, so you can expect more in the coming weeks. So, which looks are your favorites? 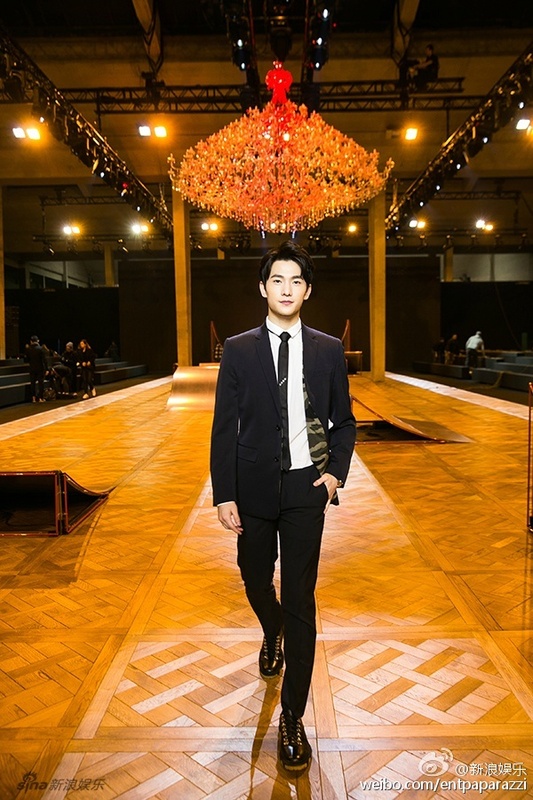 Jing Boran in Louis Vuitton. 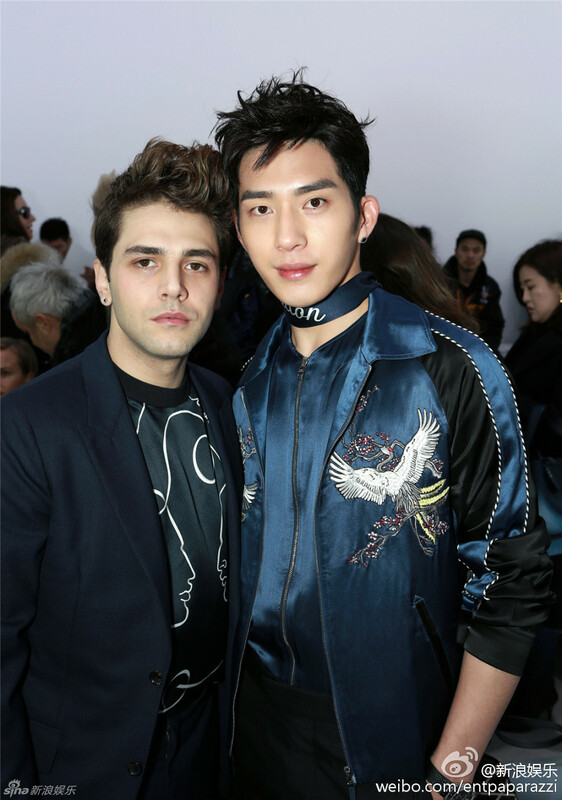 Jing Boran with Xavier Dolan. Milan, where everyone was at. 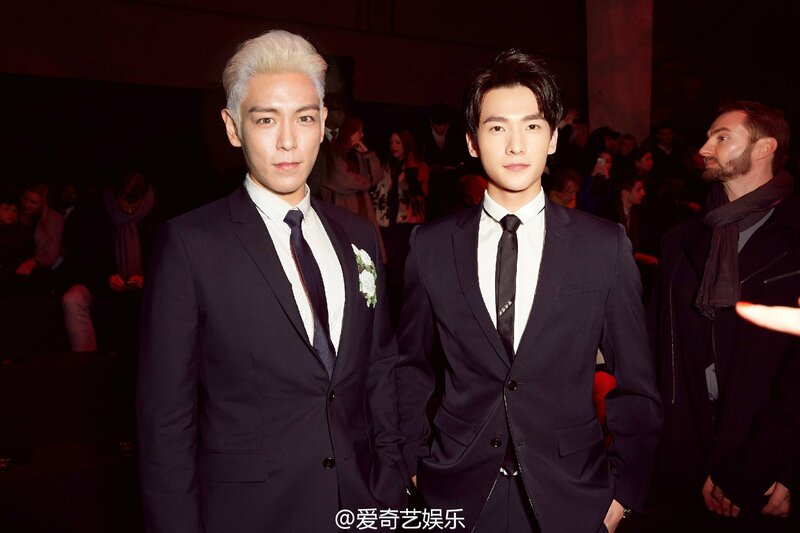 I know there’s a lot of Wang Kai, but I’m already limiting it to the shows or else there’ll be four for Tod’s alone. Chen Xuedong in Ports 1961. 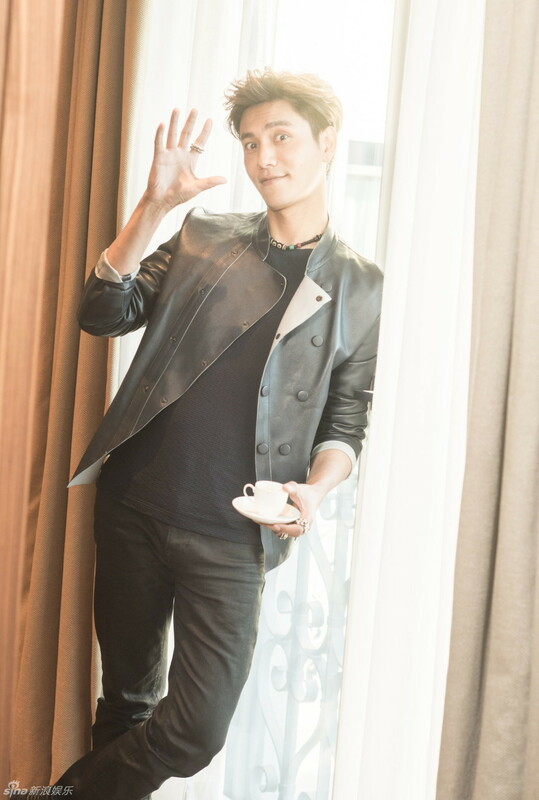 Chen Kun looking good in his hotel room in Milan. I have no idea what he’s wearing. 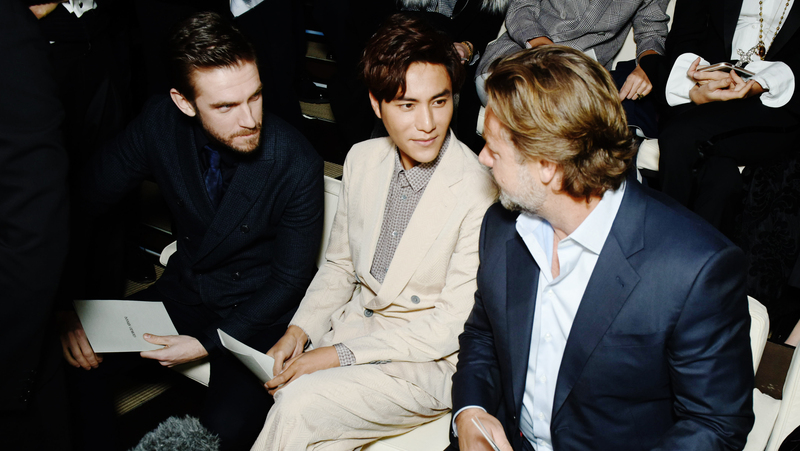 Chen Kun with Downton Abbey star Dan Stevens in Armani. 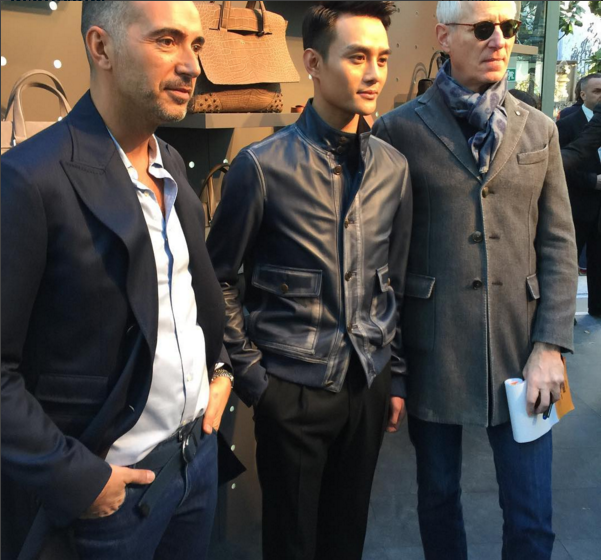 Wang Kai in Ermenegildo Zegna . Wang Kai with the impeccably dressed but rather internet-naive NYT fashion critic Guy Trebay (right), who was impressed by 110 retweets in a hour. Wang Kai with CNBlue’s Jung Yong-hwa. Apparently Jung Yong-hwa is a fan of Nirvana in Fire. How can you say no to this face. Wang Kai in the dressing room of Fendi, with two different shoes. Can you guess which one he picked? I can’t actually tell if this is the same shoe as the one on his left foot or a different one …. 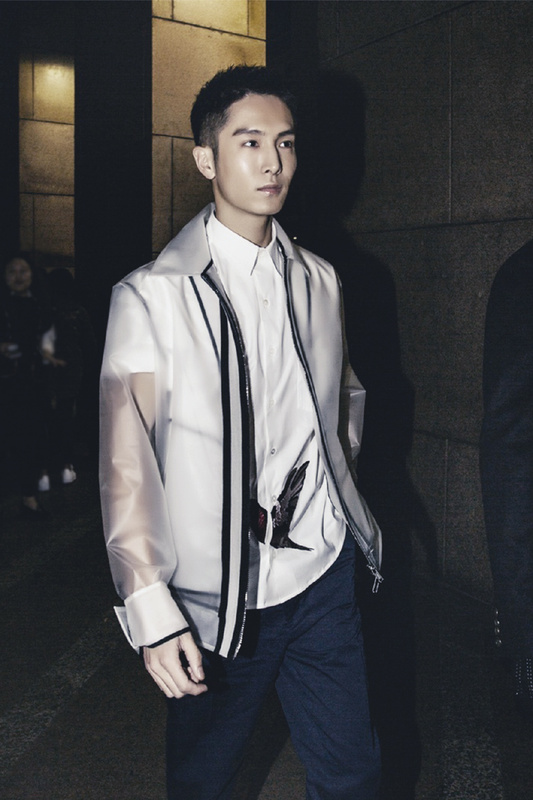 Wang Kai at a previous Fendi event. 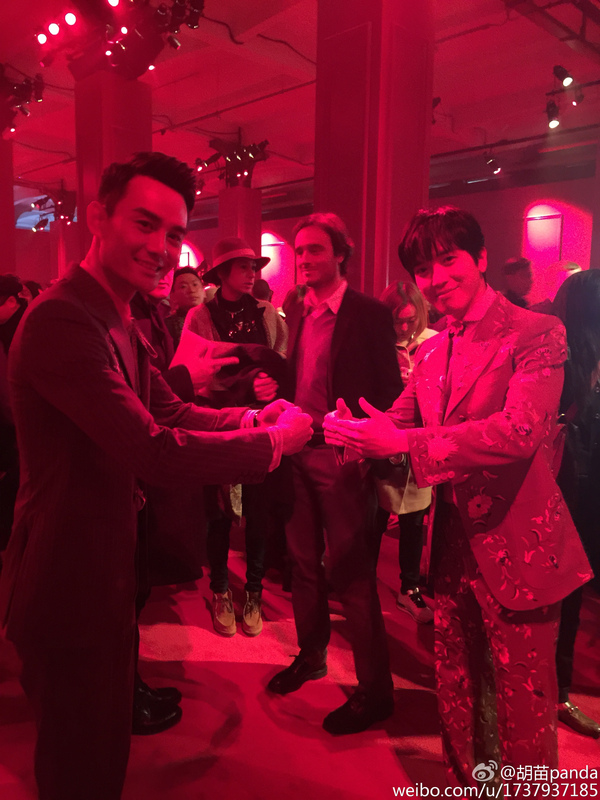 This entry was posted in Fashion and tagged Big Bang, Chen Kun, Chen Xuedong, Jing Boran, Jung Yong-hwa, Kris Wu Yifan, Men's Fashion Week, Sheng Yilun, Wang Kai, Xavier Dolan, Yang Yang by idarklight. Bookmark the permalink. 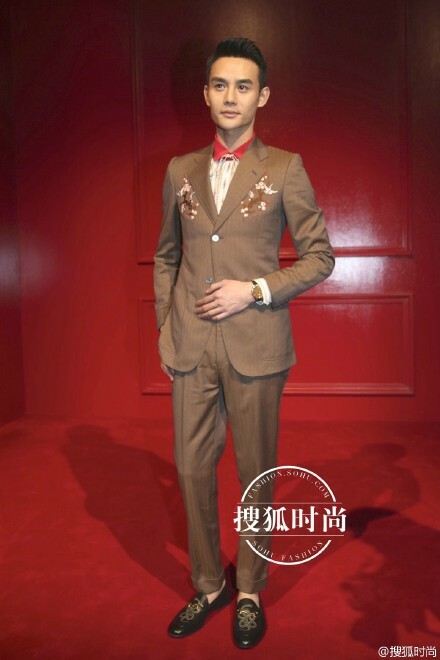 im dying here seeing Wangkai… lols… why sooo hawt man! 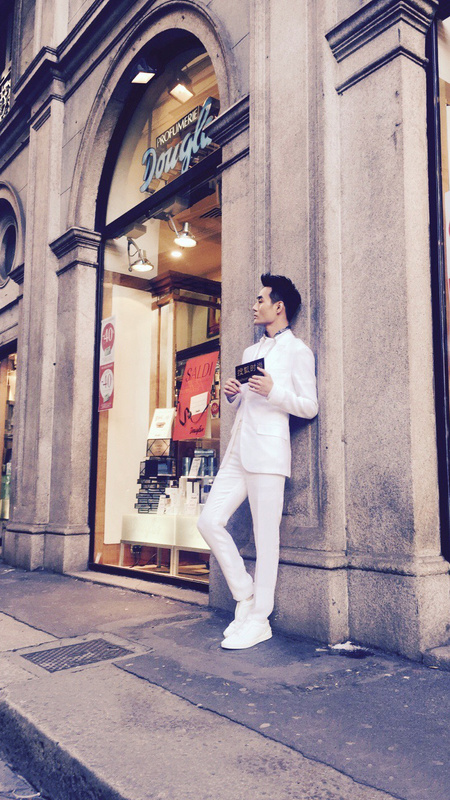 wang kai in white, my least fave. sorry. KrisWu i now you choice what ! Kris Wu actually got a solo feature on Vogue.com and was featured heavily by Burberry in their social media accounts (not to mention the Burberry CEO praised him extensively in an interview). I think Kris Wu walking the runway and being the first Chinese actor to do so is well deserved. I can’t think of other actors in his generation that would have been able to pull it off. 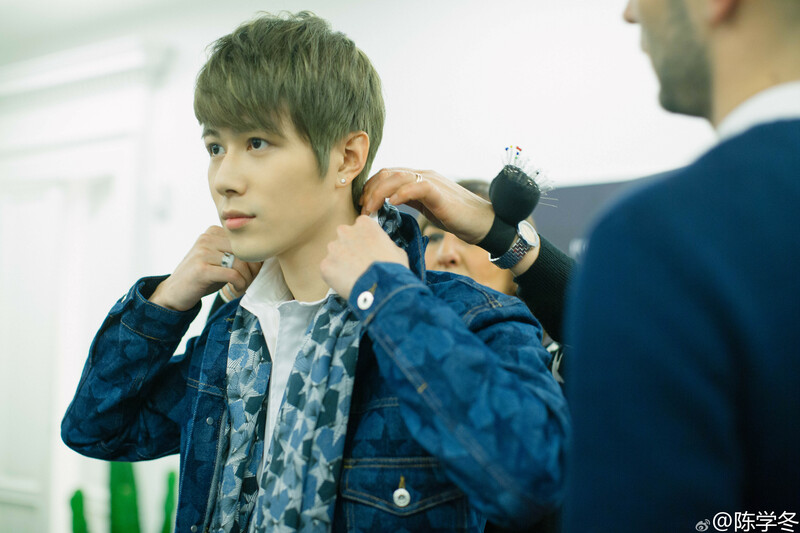 He has the face and the height for fashion show runways. All the men looked nice although some outfits were.. questionable (not their fault though, we know the fashion houses decide what their invitees are going to wear). They all looked so nice! And Jung Yong-hwa being a fan is too cute. One thing that annoys me though, is how Western reporters are unable to differentiate between Chinese surnames and given names (a la the Vogue article). It just happens so much, even in very professional sources. :( They just assume that first + last is the norm, without considering the fact that other cultures may do things differently. 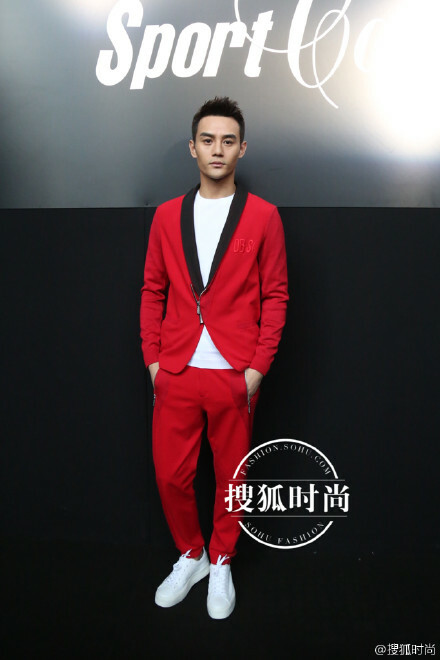 Not a lot of men can’t pull off wearing all red, but Wang Kai looked very cool somehow! I may also add, he’s super skinny. He need to buff up in case his next projects have him needing to carry his leading ladies (granted most actress are stick figure also).